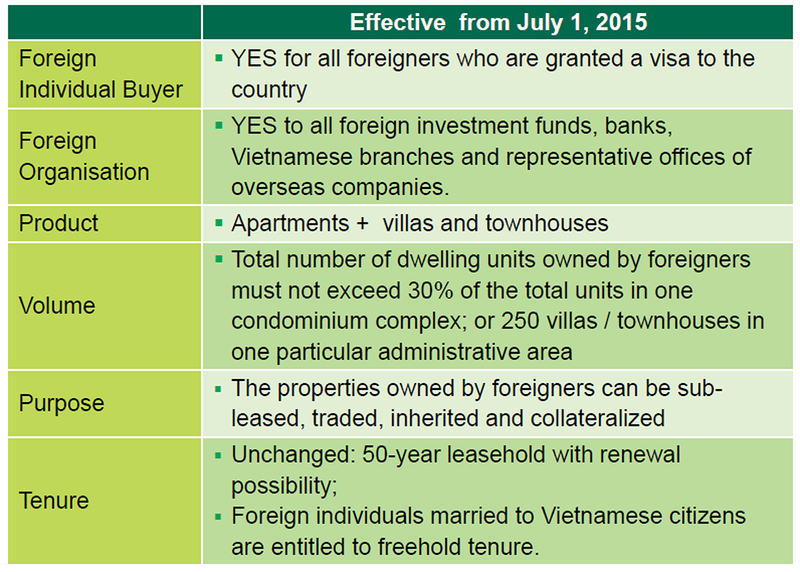 New foreign ownership laws come into force on July 1, and Ho Chi Minh City gets ready for big changes within the next few years. Big things are happening in Vietnam. From July 1 anyone with a visa to enter the country – and that includes a tourist visa-on-arrival – will be able to purchase property. Well-informed overseas investors have been watching Vietnam for several years and are positively brimming with excitement, based on the low prices and the fact that the market, which has been languishing in the doldrums, is starting to show signs of picking up. Nowhere is this truer than in Ho Chi Minh City and with its first metro line set to open in 2020 the urban sprawl of a city is facing some big and exciting changes, according to Marc Townsend, the Managing Director of CBRE Vietnam. “For those of us in real estate, the game will be changing even more dramatically,” he said. CBRE’s recent report about the impact of the new mass-transit system in the city revealed it would bring many benefits; in particular, it will improve the ability of the population to access employment, retail and recreation activities. Experience in other countries suggests one of the most significant impacts of a metro line project is an impact on property values. Rail transit development brings many noticeable changes to areas around transit stations – land prices surge, real estate developments boom and retailers and offices relocate. For proof look at other countries where the premium for home prices in locations close to public transport ranges from 6.0 percent to 45 percent. However, he also stressed that: “… the impact of a new public transport system on housing prices depends on a number of mediating factors, including housing tenure and type, the extent and reliability of the public system, the strength of the housing market, the nature of the surrounding developments and so on. According to CBRE Research, properties located in metro line areas, including Binh Thanh District, District 2, District 9 and Thu Duc District, currently sell at small to modest premiums, somewhere between 2.0 percent and 5.0 percent, compared to properties with similar finishing and level of facilities but not located in the metro line area. Asking prices of high-end residential projects in District 2 have increased from an average of US$1,490 per sqm in 2012 to US$1,650 per sqm today, up 11 percent compared to just 3.0 percent city-wide. CBRE believes that in the future, when the metro line is operational, the premium for land price on sites located within a ten-minute walk from stations could be as high as 20 percent compared with sites in other areas. In terms of new launches, CBRE also found that the number of condominium units surged in areas close to stations in the last three years. The average growth in supply in District 2 is 36 percent, compared to just 24 percent in District 4 or 10 percent in District 7. It is expected that condominium supply in District 2 and District 9 will surge by 58 percent and 200 percent in 2017 respectively. Interestingly, the number of successful transactions has also gone up. According to CBRE research, the number of units sold in District 2 was as low as 329 units in 2012 and is now 3,710. Although no concrete conclusion on the impact of the metro can be drawn from the increase in selling prices and transaction numbers, it would make sense that developers have raised their prices in anticipation of significant demand once the line starts running. Regarding the impact of land use, Duong Thuy Dung, Head of Research and Consulting Department, said: “One of the things that have traditionally held HCMC back has been its poor infrastructure and lack of an efficient public transport system. For property investors, especially foreign ones, anywhere outside a catchment of half an hour drive from the city centre doesn’t really come into play as a serious investment opportunity.